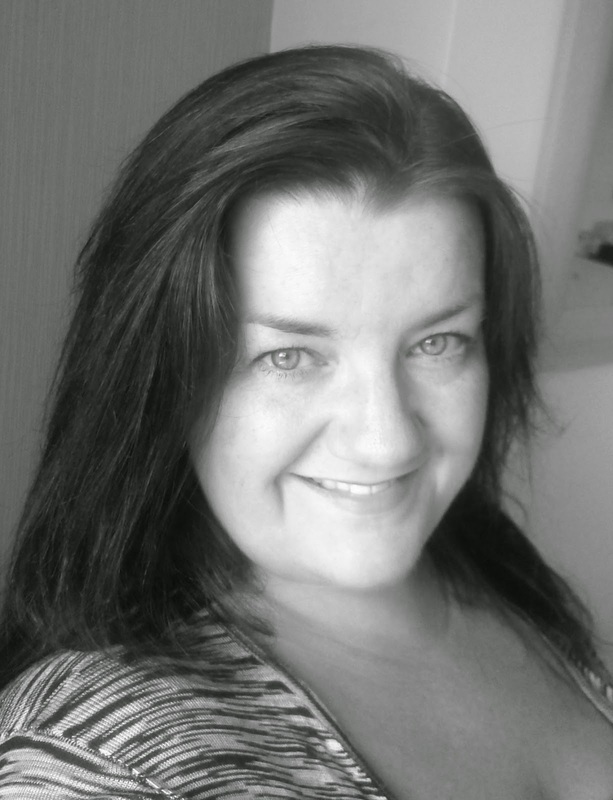 I can hold the fort whilst Chrissie and Anne jet off in a few weeks! you certainly know how to go up, up and away. and just want to see more. here and there, so the troops are having a little reinforcement. for quite some time and her work is totally stunning! So do give her a huge welcome too! Flower stamped and heat embossed in white on vellum, fussy cut and coloured on the reverse with white Inktense pencil. Leaves die cut from vellum. Notches cut in edges of kraft panel to keep twine in position. 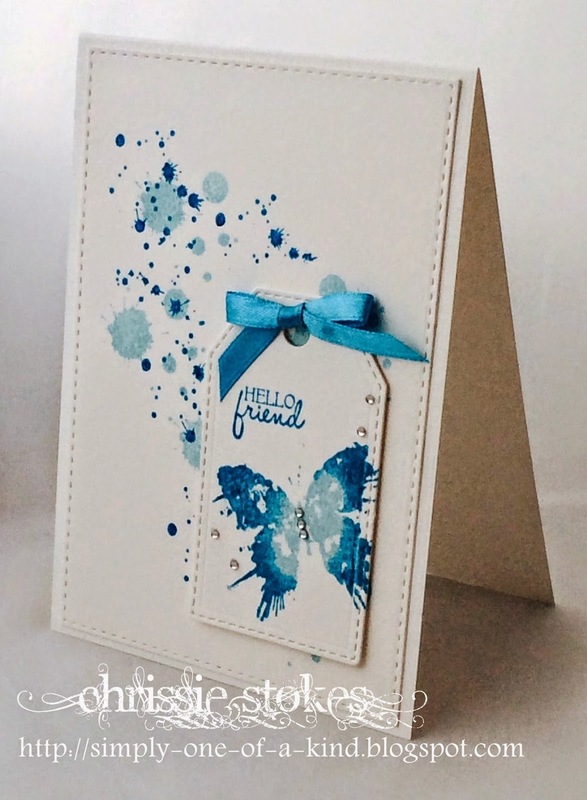 Tag and sentiment heat embossed in white and cut with co-ordinating die. Layered up and vellum bloom adhered using silicone glue. Gems for finishing touch. This looks like a remnant from the splatter week... although I did just make this card. the edges of the stamp were inked by rolling a little Mermaid Lagoon ink onto them. I like the mix of these two colours. 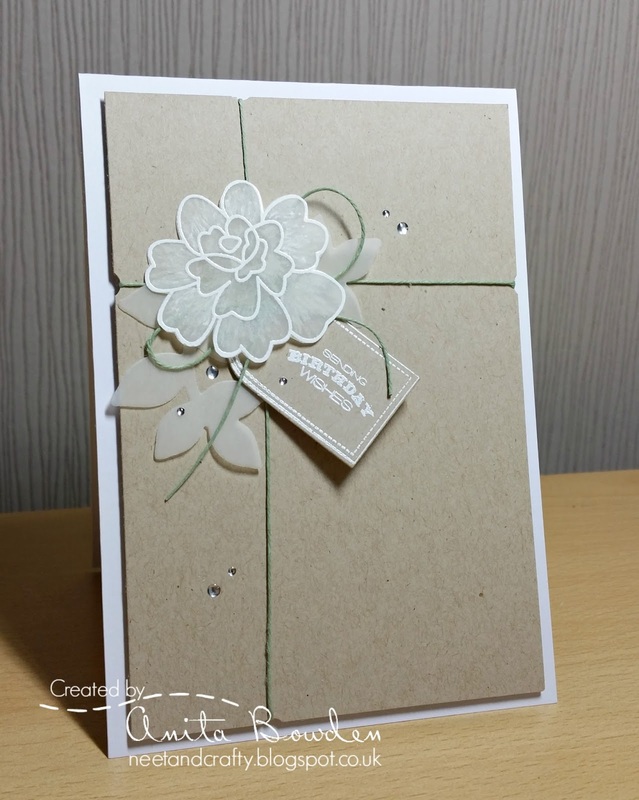 The splats are from Paper Artsy and Stampin' Up. The diecuts are from Simon Says Stamp. The sentiment is from Penny Black. 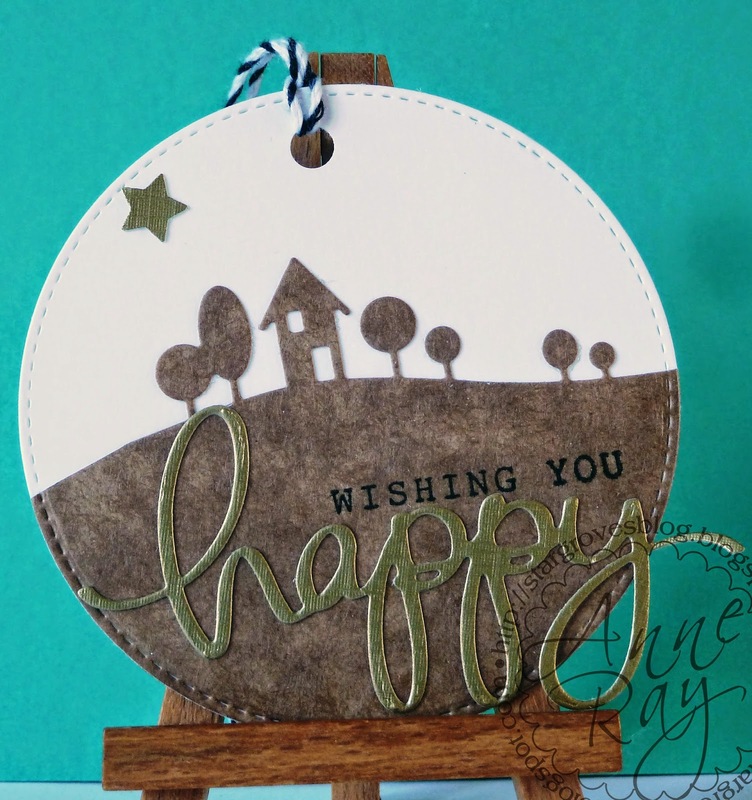 punched star, all cut into a circle tag with a Simon Says Stamp stitched die. I can't find the linky tool so my entry is here: here Thanks for looking. Oh my ladies, your DT cards are gorgeous and this challenge was a lot of fun for me. Hi ladies, i am back for round two. I had so much fun thinking how to use a tag and keep it simple that i just had to give it another go. So just linked up another card. Thanks for this fun challenge, have a nice new week.